Make sure you receive a full refund of your tenancy deposit by booking our specialised end of tenancy cleaning service, which is available to all South West London residents. Our company offers reliable and guaranteed cleaning service, as well as affordable rates. Trust us with this responsible task and we will not only save you time, but we will help you get back your pre-paid money. The security deposit paid by tenants when moving in the rental property is the protection of the landlord against unpaid rent or any damages. Interestingly, the most common cause for keeping the deposit isn’t damage, but in fact cleaning costs. Sometimes, a professional cleaning on move-out is even one of the tenants’ responsibilities in the lease agreement. However, handing back your home sparkling clean isn’t so easy – dust can be found in places out of reach, carpets and upholsteries accumulate a lot of invisible dirt, grease and grime cover the entire kitchen. The final cleaning of the rental home should be in-depth, if you want to receive your security deposit in full. This will take time and efforts few people can afford to spare. This is why our company is specialising in thorough end of tenancy cleaning. The service is available across South West London and can benefit not only tenants but also landlords and real estate agencies that need to prepare a rental property for new tenants. 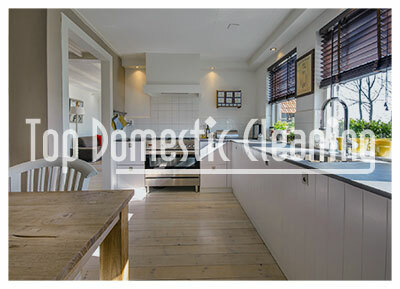 The end of tenancy cleaning service includes deep cleaning of all areas of the home – kitchens, bedrooms and living rooms, bathrooms and hallways. Windows, carpets, ovens and other appliances are thoroughly cleaned, as well. In order to provide our customers with a fast and immaculate service, we work with professional cleaners who have the experience and expertise to perfectly sanitise every nook and cranny. They will bring professional detergents and cleaning equipment to ensure high levels of efficiency. Our end of tenancy cleaning service can be booked on any day of the week, including weekends and bank holidays. We serve customers not only in South West London but in the nearby boroughs, too. You can always rely on to bring perfect results, but even if we miss something, we guarantee to return and re-clean it!